Discover how to reproduce the time-honored treasures of the past with authenticity and ease. Create your own versions of antique designs from a stunning collection of history-rich quilts spanning the late 1800s through the 1930s. 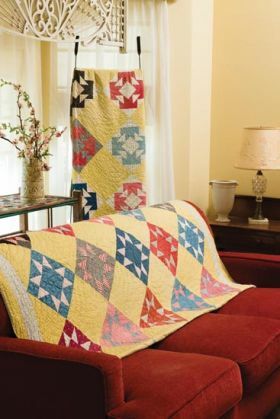 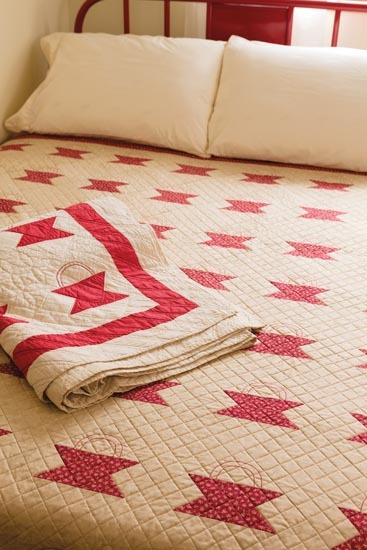 Get the historic look you love with detailed instructions for constructing your reproduction from start to finish, with a special focus on the types of quilting designs popular through the years. 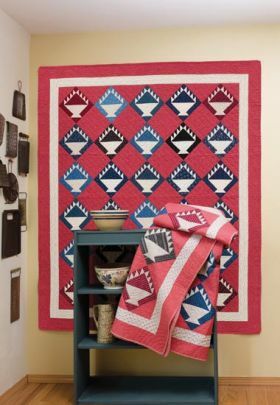 Watch Julie Hendricksen on Sewing with Nancy: Patchwork Patterns Inspired by Antique Quilts, Part 1 and Sewing with Nancy: Patchwork Patterns Inspired by Antique Quilts, Part 2. 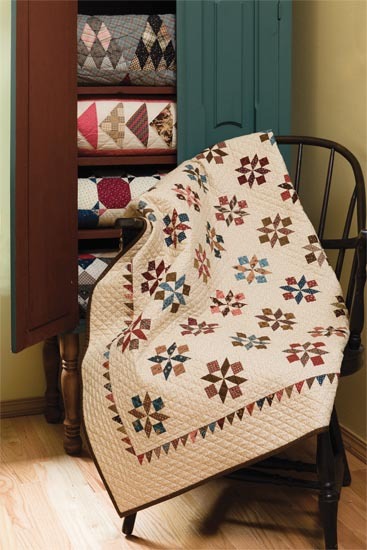 If you love antique quilts (and let's face it, most of us do! 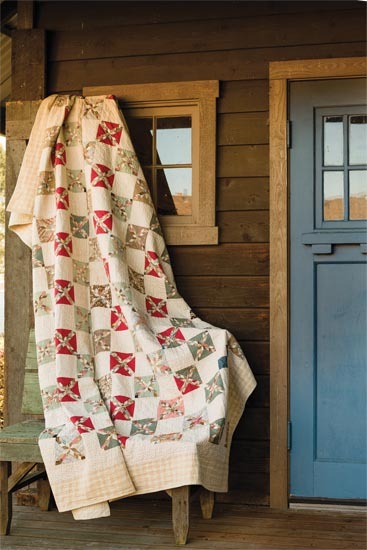 ), this will be a wonderful addition to your bookshelf. 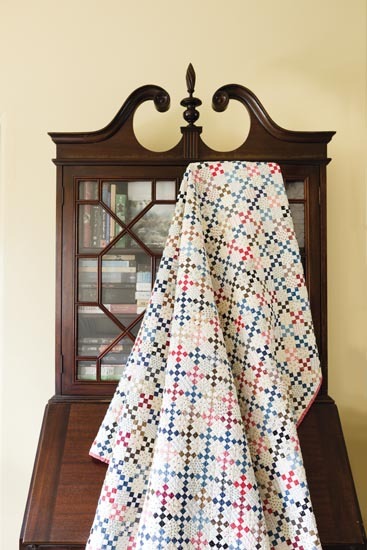 The book contains 14 quilt designs: some are reproductions, and the antique quilt that was the inspiration is pictured, while others are simply the antique quilts. 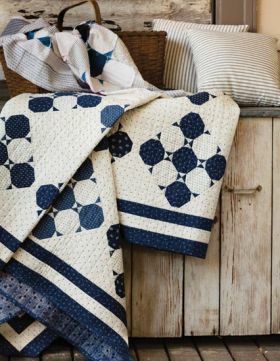 You will find some unusual takes on very traditional designs such as the Snowball block and the Thousand Pyramids design. 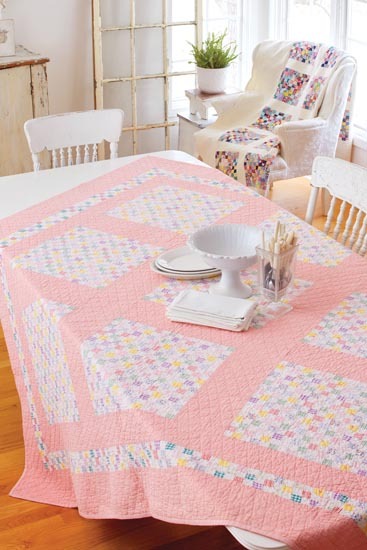 Hendrickson also provides detailed instructions on the best way to quilt your antique reproduction quilt to make it look as authentic as possible. 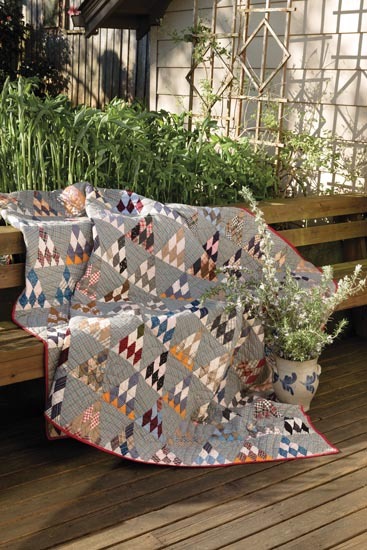 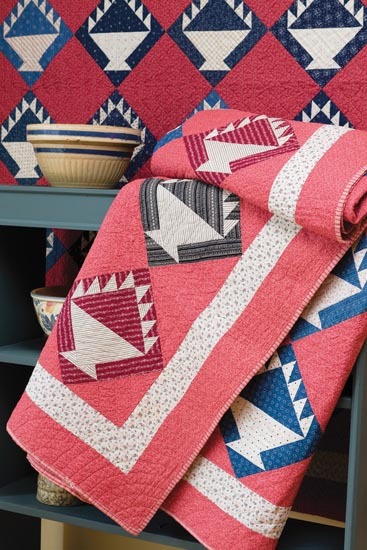 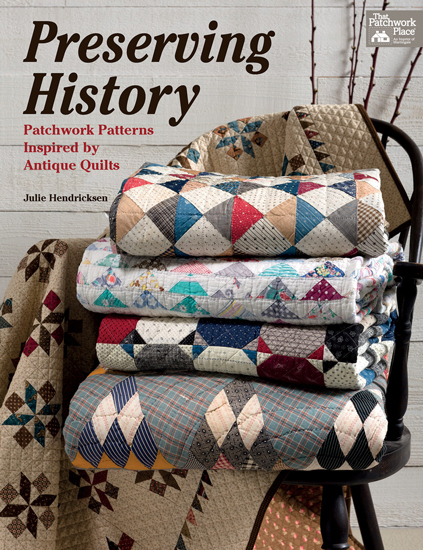 Fans of traditional quilts will love this book from Julie Hendricksen which is based on the collection of antique quilts she has amassed over the last thirty years. Each chapter features a different design, with stories of the antique quilts and where she found them, or in the case of the Nine Patch quilt with a $25,000 price tag, the one that got away. The projects for the updated versions are easy to follow, with lots of illustrations to help the quilt-making process. Julie, who also designs reproduction fabrics for Windham, has chosen ideal prints and colours to make the new quilts in the book which helps give it a strong vintage identity. 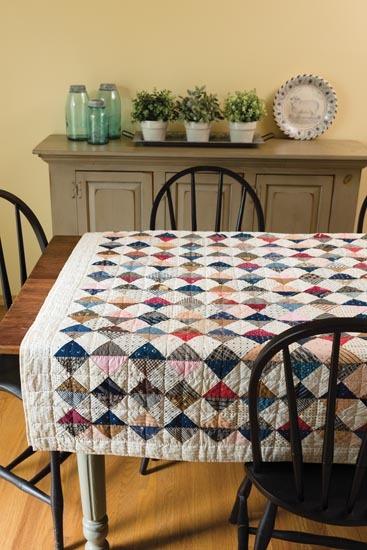 Many of the projects are simple enough for a beginner, however, the ones towards the back, such as "1890s Baskets" and "Sugarloaf", will keep an intermediate quilter on their toes. 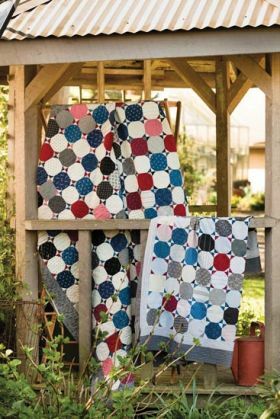 It was a delight to see so much hand quilting in a book, although keeping with the friendly and relaxed tone, machine and longarm quilting is referred to in the introduction. 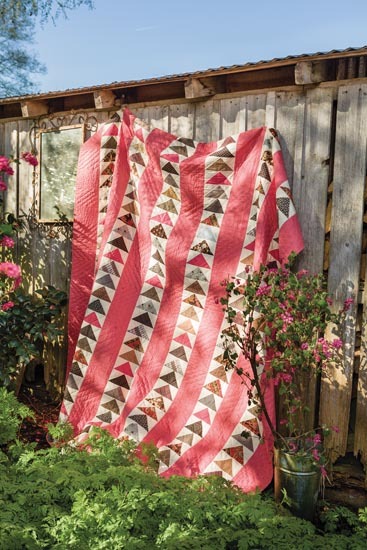 I enjoyed the tips dotted throughout, for example, where the reader is encouraged to question whether it was necessity, or design choice, that meant a maker had different fabrics in three blocks. Preserving History is an ideal reference if you are looking for quilt inspiration, or for patterns to make for loved ones that will endure the test of time. Julie Hendricksen has been collecting antique quilts for more than 30 years. 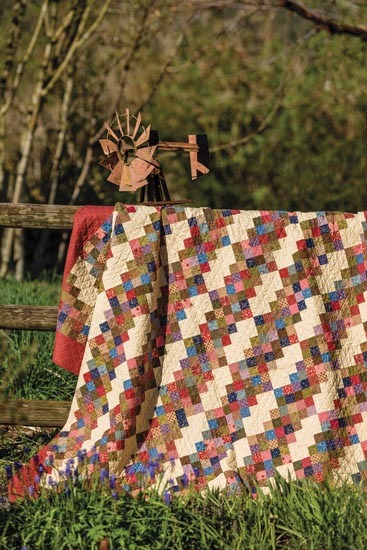 Scrap quilts from the turn of the nineteenth century are her favorites. 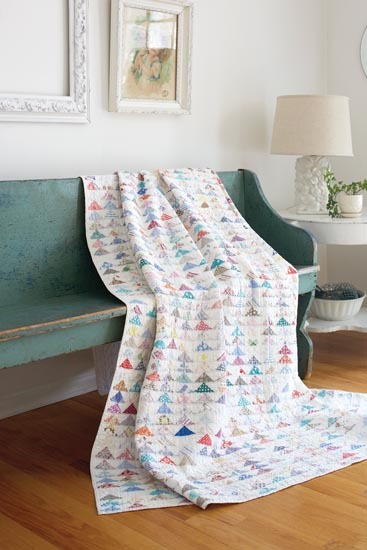 As Julie professes, the more fabrics in each quilt, the more interesting they become! Visitors to Julie's quilt shop, JJ Stitches in Sun Prairie, Wisconsin, will often find both a reproduction quilt and the antique quilt that inspired it on display together. Julie's collection of antique quilts is the inspiration for the fabric lines she's designed for Windham Fabrics, and it's no surprise that her shop specializes in reproduction fabrics.